When the Apollo 11 spacecraft was orbiting the Moon prior to the first lunar landing, Nasa officials told the astronauts on board to look out for the ‘lovely girl with a big rabbit’. They were jokingly referring to a story from Chinese mythology in which the goddess Chang’e escapes Earth to live on the Moon with her pet, Jade Rabbit. 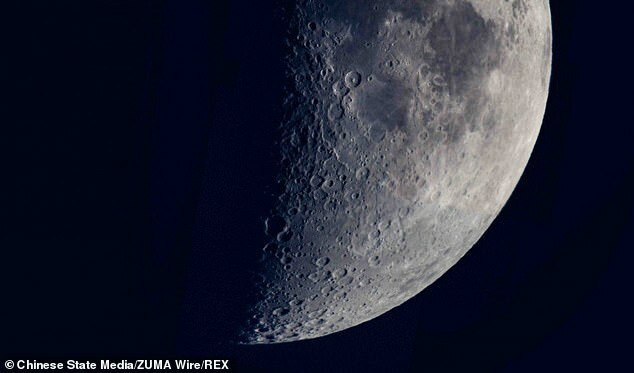 This week, almost 50 years on from that ‘giant leap for mankind’, the legend of Chang’e resurfaced — and this time the joke is on the Americans as China announced it had became the first nation to land a spacecraft on the ‘dark side of the moon’. 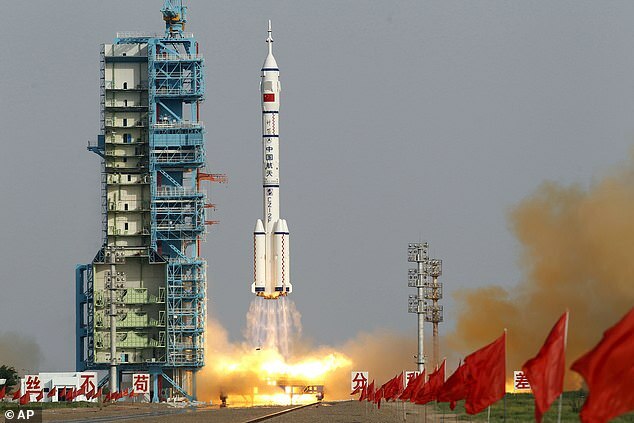 The robotic probe was named Chang’e 4, a product of China’s £3.9 billion a year space exploration project. If ever there was a metaphor for the Communist super-power’s obsessive secrecy and soaring global ambition, then this audacious secret mission provides it. And it should be no less a wake up call to the West than the Soviet Union’s launch of the Sputnik satellite was in 1957. Let me explain: for generations, the Kremlin’s technological clout and military might meant that every other threat came second. The space race, the arms race, the worldwide battle to contain Communism — these were the hallmarks of the terrifying decades of the Cold War. I grew up sharing the fears of many that the Communist bloc would triumph, consigning the free world to the servitude and repression that reigned behind the Iron Curtain. Now I fear we face a similar threat from a rising China. Today, the regime in Beijing may seem a distant threat compared to the Putin plutocracy in Moscow, which menaces our allies and meddles in our politics. But the truth is that China is a far more serious adversary. The moonshot on January 3 underlines its growing dominance in space technology, with a manned space station in orbit by 2022. Its capabilities already include ‘killer satellites ‘which could destroy the West’s own orbiting electronic ears and eyes, and new space-guided missiles. China has also leapfrogged the West in artificial intelligence — software that allows robots to plan ahead and learn from mistakes. But the most pressing threat now is to the security of our computers and networks, and to the commercial and personal data they store and exchange. 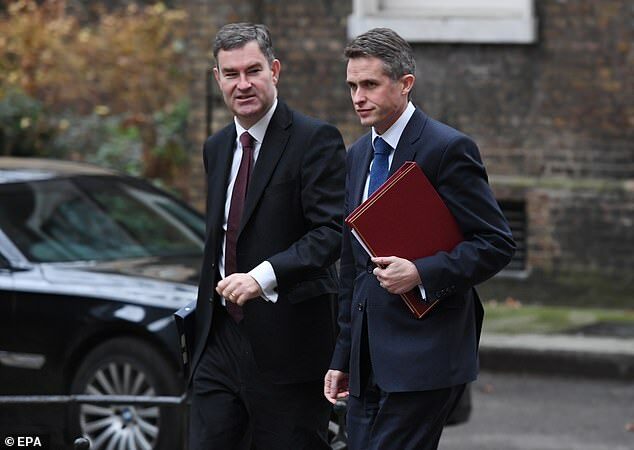 In a blistering warning before Christmas, Defence Secretary Gavin Williamson highlighted the danger of Britain’s dependence on the Chinese high-tech giant Huawei, which is closely tied to a regime he described as ‘sometimes malign’. He expressed ‘grave’ concerns about the firm providing technology to upgrade Britain’s mobile phone services to the new 5G wireless communications standard. The 5G technology offers, among other things, dazzlingly fast data downloads — a boon to so many Britons plagued by slow, unreliable broadband services. It will also be central to the so-called ‘internet of things’ in which devices ranging from heating thermostats to motor vehicles will seamlessly connect and interact, cutting costs and improving the quality of our daily lives. 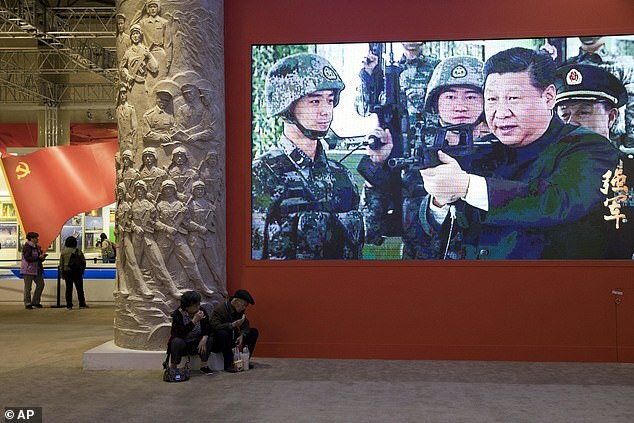 The great flaw in this science-fiction vision of the future, however, is that Huawei — founded by a former officer in China’s People’s Liberation Army — is the world leader in the technology required. Cyber-security experts fear that its products may include hidden features that would allow the Chinese regime to sabotage our systems or steal data from them. To be fair, Huawei denies any wrongdoing. To date nobody has found anything amiss with the technology it sells. But the fact remains that some of our closest allies, including the U. S., refuse to certify the Chinese company’s products as suitable for their critical national infrastructure. In Britain, we continue to fudge this issue. 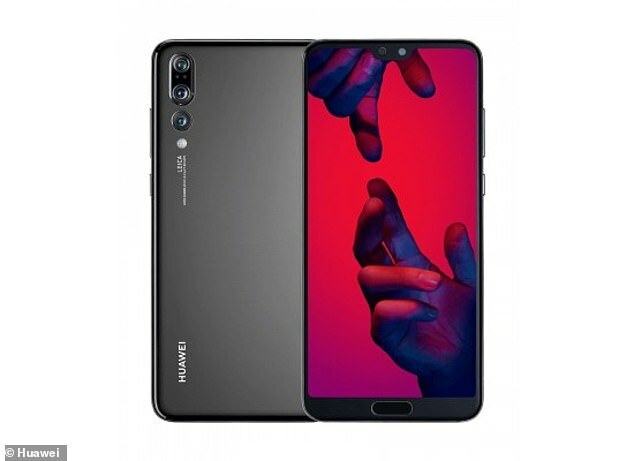 A special team of experts based in Banbury, Oxfordshire, which includes retired staff from GCHQ (the Government cyber-espionage agency in Cheltenham), evaluates Huawei products before they are cleared for release in sensitive UK installations. But given the complexity of chips and software, and the mysterious way that even seemingly innocent features can be made to interact, the Huawei Cyber Security Evaluation Centre offers little reassurance. Indeed, the latest report by the centre’s oversight board states cryptically: ‘Technical issues have been identified in Huawei’s engineering processes, leading to new risks in the UK telecommunications networks’. It gives no further details. Mobile phone technology aside, the Chinese state company China General Nuclear (CGN) is heavily involved in Britain’s nuclear energy industry through its investment in the construction of Hinkley Point in Somerset which will provide electricity for around six million homes. It is also potentially involved in new nuclear power stations in Bradwell, Essex, and Sizewell in Suffolk. In short, Britain and (many of its allies) face a dilemma between national security and modernising our economy using Chinese know-how. The head of MI6, Alex Younger, is just one of several senior officials to have sounded the alarm. 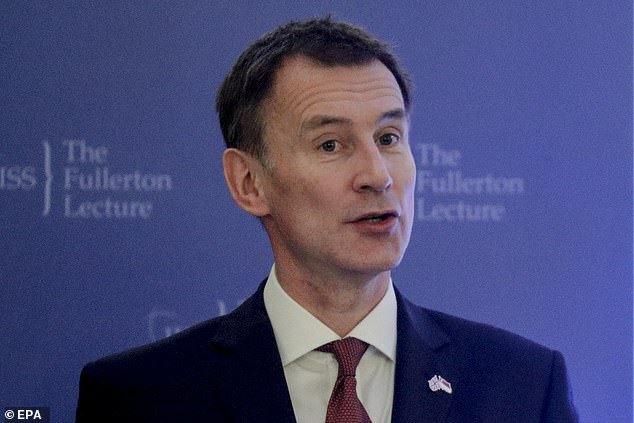 He hinted last month that Britain should follow New Zealand and other countries in banning Chinese technology in the most critical parts of national infrastructure. While our ministers dither, a sharp confrontation is already raging between the U.S. and China over related issues. 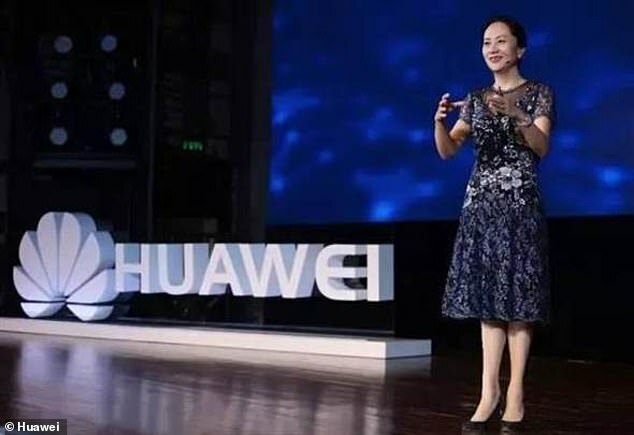 Acting on an American extradition warrant, the Canadian authorities recently arrested Huawei’s chief financial officer. Meng Wanzhou is one of China’s most powerful women, and in theory, she was arrested for failing to cooperate with U.S. sanctions on Iran. But most observers see her detention (followed by a speedy release on bail) as a warning by the White House that it is determined to stop China’s technological rampage. Indeed, President Trump is reportedly preparing to declare a national emergency and outlaw two giant telecom firms — Huawei again and ZTE — over concerns they are snooping on America. It’s claimed an executive order has been drawn up that will prohibit either from operating in the States. Concern about China is also mushrooming on other fronts. U.S. prosecutors recently indicted two Chinese nationals on charges of hacking the commercial secrets of the Western world’s biggest companies, while Britain publicly lambasted the Beijing regime for similar offences. China, predictably, dismisses such allegations, saying that Britain and the U.S. are ‘fabricating slanderous rumours’. But the concerns go far beyond the arcane world of high technology. Australia, for example, is so alarmed by Chinese influence-peddling that it has passed a tough package of counter-subversion laws — including making it a criminal offence to conduct unregistered lobbying activities on behalf of another state. All across the world, concerns are also growing about China’s ruthless brand of economic diplomacy. This typically involves huge, murky infrastructure projects in poor countries, built by Chinese contractors on borrowed money. Superficially these giant schemes look attractive — railways in Africa, dams in Ecuador, motorways in Eastern Europe. All too often, though, the result is disappointment — and crippling debts. In cash-strapped Ecuador, for example, China built the colossal Coca Codo Sinclair dam and hydro-electric power project at a cost of £15 billion. But only two years after it opened, it’s a rickety mess that has never operated at full power. Tellingly, almost every Ecuadorean official involved in the project has been convicted of bribery. But the South American nation will face crippling debt repayments — consuming most of its oil-export revenues — for decades to come. China’s growing economic empire is matched by a burgeoning military sphere of influence in its neighbourhood. Beijing insists its influence extends up to the ‘Nine-Dash Line’ — an arbitrary cartographical area of sovereignty in the South China Sea that has prompted a slew of disputes over maritime boundaries with neighbouring East Asian countries. International tribunals have repeatedly slapped down China’s preposterous claim. But for the hard men in Beijing, might is right. A colossal and costly naval construction programme has turned reefs and islets into a formidable chain of fortresses and air bases — backed by those new space-age missiles — establishing China’s sway over a swathe of international waters. American naval experts admit that China now has the edge over the Pentagon in the regional battle for power and influence. 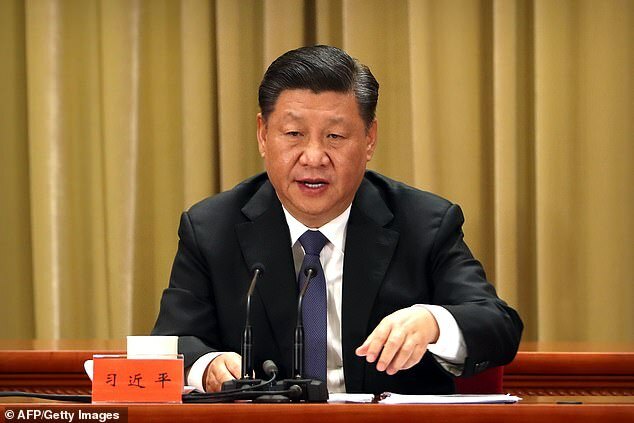 Even more alarmingly, Chinese leader Xi Jinping this week issued a stern warning to other nations not to defend democratic Taiwan — a doughty Western ally. He has not ruled out using force against the island — and says he will ‘reserve the option of taking all necessary means’ to ensure reunification with China. The brave people of Taiwan can only look on in dismay at what mainland rule has meant in the former British colony of Hong Kong. Our government accepted solemn undertakings from China in 1997 on the preservation of its rule of law, free Press and political pluralism. They have proved as flimsy as wet rice paper. Chinese intelligence agents have kidnapped critics, while pro-democracy activists face harassment. Campaigning for Hong Kong independence can bring a jail sentence. Conditions in mainland China are even worse. Independent expression of any kind of religious belief prompts official harassment, and shamefully, the West has become naively complicit in this. Blinded by commercial opportunities in China, Britain and most European countries have for years been mealy-mouthed in their condemnation of outrageous oppression and shocking abuses of human rights there, including the mass incarceration of up to a million Uighur Muslims in western China. For years many of us have campaigned about outrages in Russia, but nothing there in recent decades matches the horrors inflicted on the Chinese people by their rulers. This may seem many miles from our shores, but in the long term China’s rise could have profound effects on our way of life. Indeed, if you believe that you live in a country free of Chinese influence, ask yourself why our politicians no longer meet the Dalai Lama? Only a few years ago the saintly Tibetan spiritual leader was a welcome guest in all the chancelleries of the West. On his most recent visit to Europe, only a handful of brave MPs from Lithuania, a country of just three million people, received him officially. No Western country is willing to risk China’s wrath by hosting a man that Beijing regards as a dangerous quasi-terrorist. Our attitude towards Russia is very different. We fete anti-Putin opposition activists and have, albeit belatedly, turned our ire on Kremlin cronies by denying them visas, questioning the source of their wealth, and (at least in America) even bringing criminal charges against them. Why do we not follow the Australian example and direct a similar arsenal against the associates of the Chinese leadership? Let me be clear: I am not arguing that we weaken our stance on the Kremlin and its cronies. I have long been one of the loudest voices sounding the alarm about the repressive, aggressive policies of Vladimir Putin’s Russia. Twice I have featured on a Top Ten list of Russia’s greatest foreign enemies, compiled by a state media outlet. This year, I was in fourth place. My great fear is that China’s economic and technological heft will make Russia’s interventions in the West so far — in disseminating propaganda, economic blackmail, hacking private data, and even interference in national politics — look like child’s play. The scope for hostile activity is huge. We should pressure Government to act now to safeguard our future, but we have nobody to blame but ourselves for the gullibility and greed that leaves us so vulnerable to attack. The shock and awe caused by the benign act of a spacecraft landing on the dark side of the moon will be the very least of it.